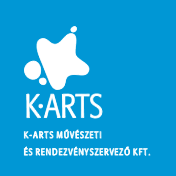 Events | K-ARTS Művészeti és Rendezvényszervező Kft. Our company won the assignment given by Kreinbacher Estate to manufacture a special “relief”. K-ARTS KÉSZ Art Collection was invited to the ARTplacc 2015 contemporary art and design festival (July 22-26, 2015).